Mercedes A-class information: everything you need to know if you own it, are thinking of buying one or just want to find out more about Merc’s hatchback Golf rival. Click on the links below for all of CAR magazine’s news, reviews, videos, scoops and spy photos of the A-class car range. The new Mercedes A-class ditches the mini-MPV look of the old car – and its innovative construction – for a more conventional sporty hatch shape. The drive is far more dynamic than before too – but watch out for the stiff ride and jerky dual-clutch gearbox. If you’re after sense of occasion from your family hatch, the A-class’s high-quality supercar-like cabin is hard to beat. Find all of CAR’s comprehensive news and scoop stories, plus a range of A-class test drive verdicts, in the links below. 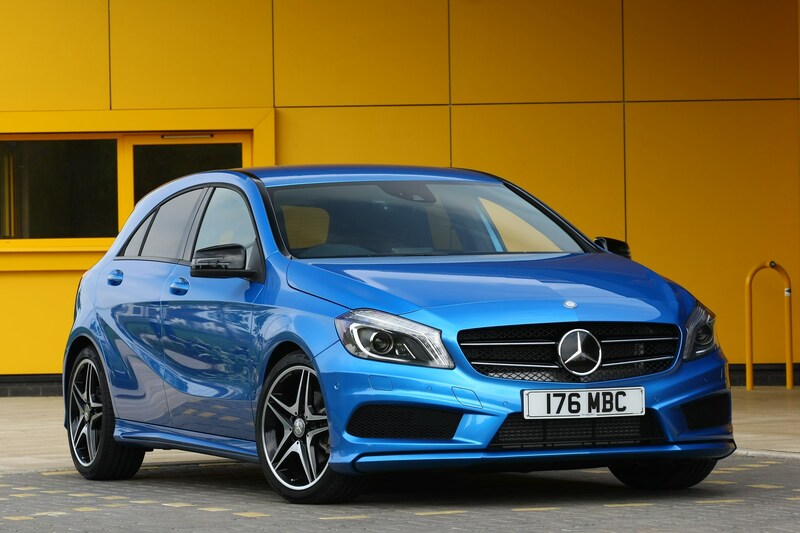 There’s a huge choice of A-class models facing buyers; Daimler has set great store in this new generation model and has pumped a lot of investment in to the project to ensure a wide choice of engines, transmissions and driven axles. All A-classes come with a solid build quality and classy interior; no longer does the Volkswagen Golf hold all the cards in this regard. This is now a conventional hatchback rather than a quasi-people carrier tallboy, so you now sink into the driver’s chair rather than slide across into it, perched high up like in previous models. The drive is competitive, but not class-leading in any regard, which is a disappointment. Comfort seekers may be better served by an Audi A3 while keen drivers may still head for a VW Golf GTI or BMW M135i rather than pick the monumentally fast - but sterile - A45 AMG with its blistering 381hp. And be warned that most versions we’ve tested with the twin-clutch auto ‘box are somewhat unsatisfying. Mercedes A-class (2018) review: is the hatch finally a worthy Merc? Is this 208bhp all-wheel drive hot hatch a GTI-beater?